Good news for all RC players! 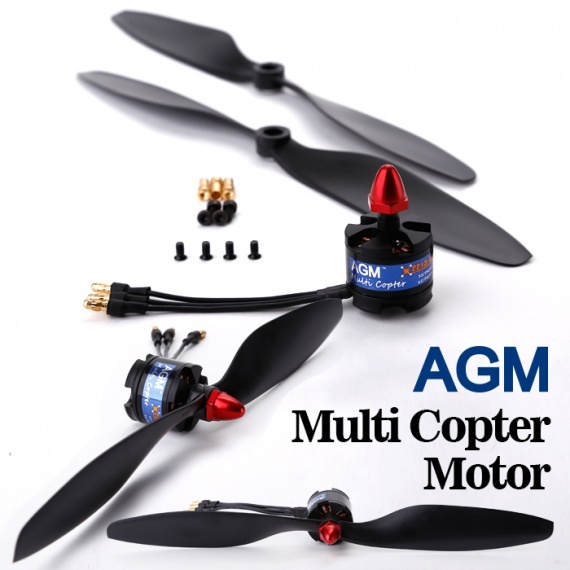 China RC hobby factory AGM recently launched new cool gadget, it is a brushless motor and propeller combo. The new combo is designed for multi copters such as tri, quad, octo and hex, with the ability of transient response and stability.